This stuff is so good, it should be illegal. Seriously. It is so good. If you make some, it'll be gone the same day you make it. Even if you make it for just yourself. So, my friend, Candace, and I have been "exercising" in the evenings (we are walking) and while walking this past Sunday she was talking about her day at the fair the previous day. 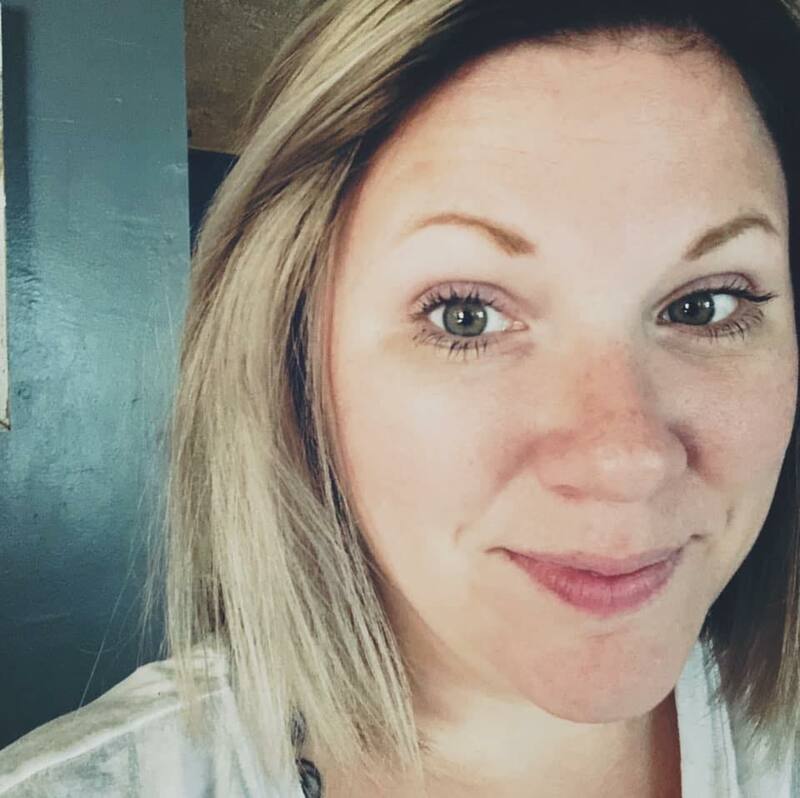 She mentioned not liking fried Snickers bars (because everything is fried at the Iowa State Fair...everything). I said, "Oh the Milky Way is good fried!" "Me too! 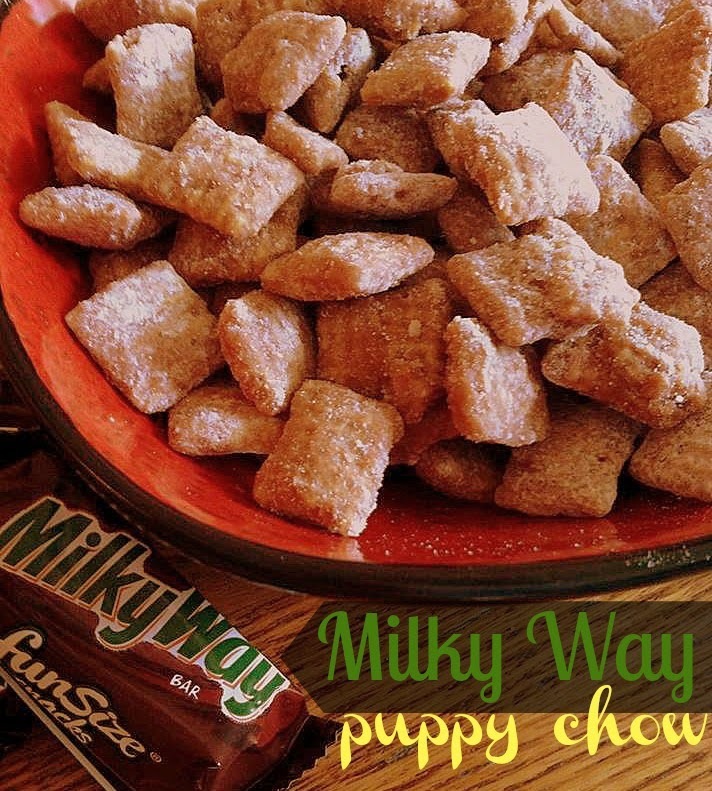 Do you like Puppy Chow?" 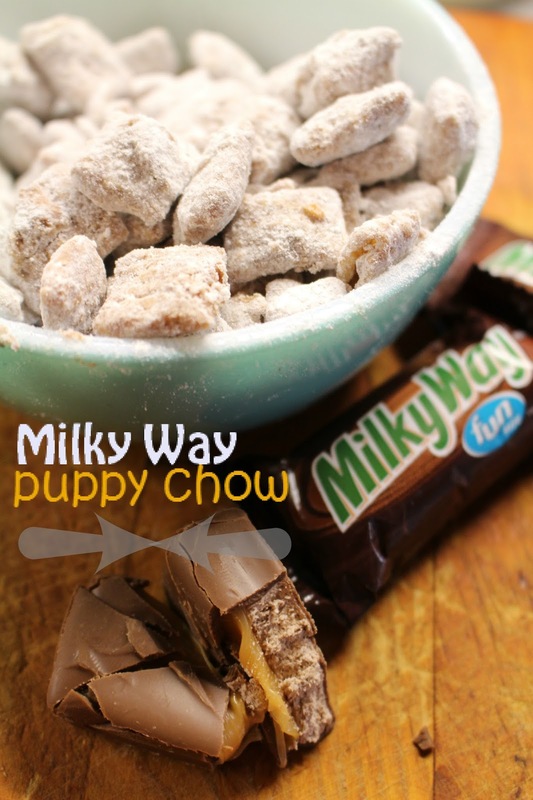 "You should try Puppy Chow made with Milky Ways instead of chocolate and peanut butter!" "I'm going to the store tonight." And that she did. 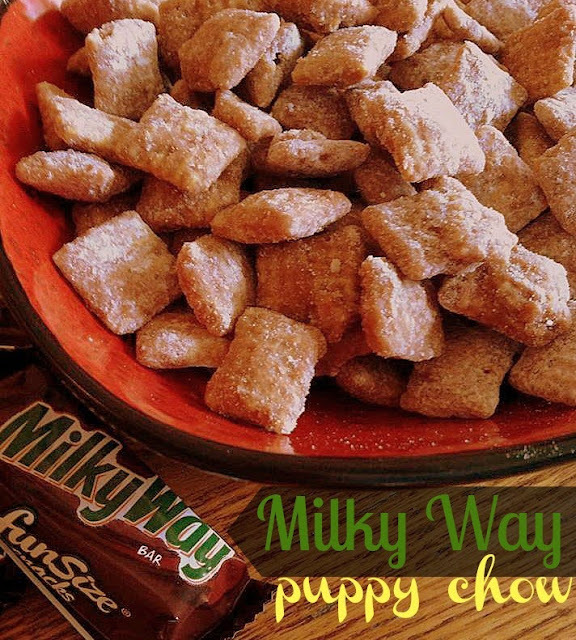 We couldn't stop thinking about Milky Way Puppy Chow. I don't even know where I first had it. But all I know is once you think about it, you can't stop thinking about it until you eat it or make it, then you just want more. This is what happened in my case. She made some, brought me some, I ate it all with my daughter, and then the thought of more consumed me until I decided to make more today, send home some with sister and make a blog post because I realized I never blogged about it the last time I made it! If you melt the chocolate in a large pot, keep the heat on low on the stove, and pour the cereal directly into the pot, keep stirring gently while the heat is on low to help prevent the chocolate from cooling too quickly and making it hard to coat the cereal. I make mine with more chocolate, less cereal. I have also added new snapshots since I now have something better than my old point-and-shoot camera. You can check out when this was featured in a Buzzfeed article here. In a large pot on the stove, melt together the candy bars and butter until smooth, stirring constantly with a wooden spoon. Reduce heat to low, pour the cereal in with the chocolate mixture. Fold the cereal into the chocolate/caramel coating until all pieces are coated well. Transfer the coated cereal into a large plastic container with a lid. Sprinkle 2 cups powdered sugar over the cereal, snap on the lid, and shake. Shake until the pieces are covered in sugar, adding more until it is covered to your liking.